This search page lets you find any of our products using the criteria of your choice below. Select the track, car, specialty, media you want from the lists below--or enter (part of) the product name or number--and then click Search. The 4 dropdown boxes let you select any combination of track, car, specialty or media. The SSA Product Number box doesn't need the full number; for example, S282 can be searched as 282. Similarly in the Product Name box, you don’t need the full proper title of a product. You can search by key words such as "I.M.C.A. 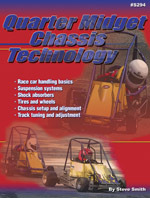 ", "dirt", "paved", "stock car", "sprint", "midget", etc.